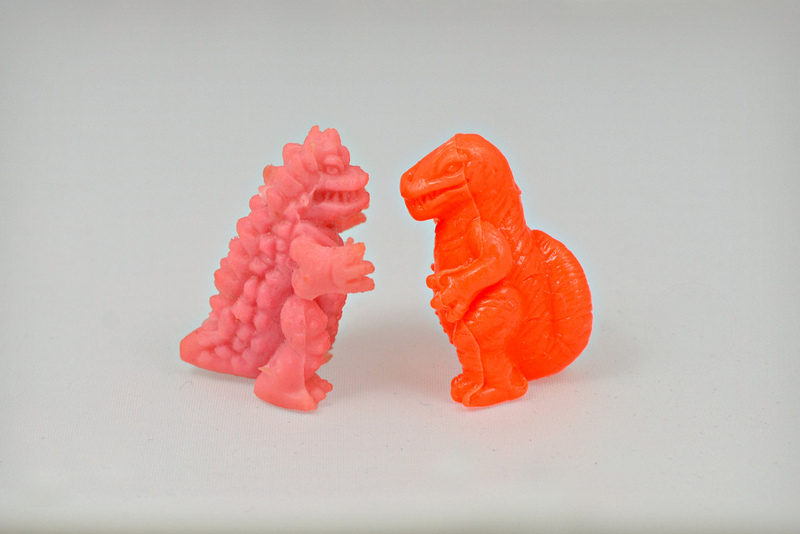 Here are some cool mini kaiju keshi I've picked up over the years. The pink guy on the left in the first photo is a monster named Mikuras, but I'm not sure/can't remember who the other ones are (any of you kaiju experts out there care to ID them in the comment section?). I know all of them are early-mid 1990s vending machine bootlegs of Japanese keshi except for the two Mikuras figures, whose origin I'm not really sure about since I got them in a recent trade. 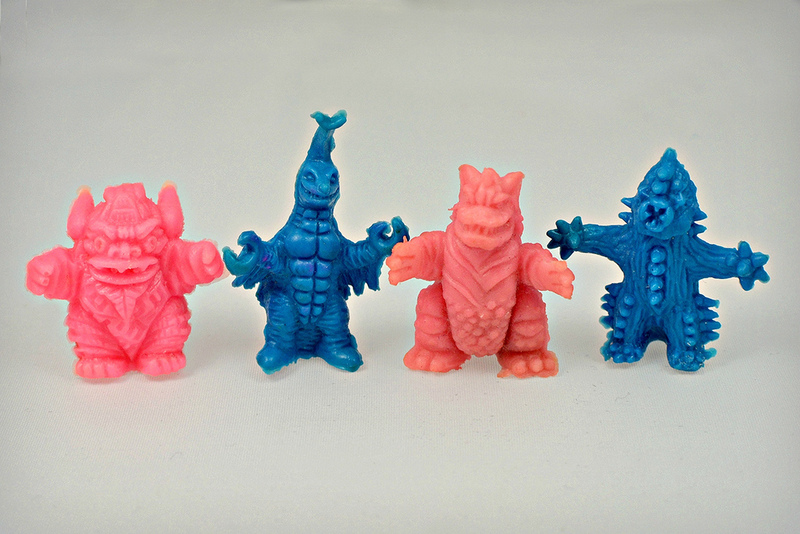 Monster in my Pocket should have released a Kaiju series. They would have been the best mini-figs ever. That would have been great! I'd much rather have seen that than the bugs, wrestlers, etc.